Take I - 95 to Route 9 North then follow Route 9 North to Exit 7, going east on Route 82. 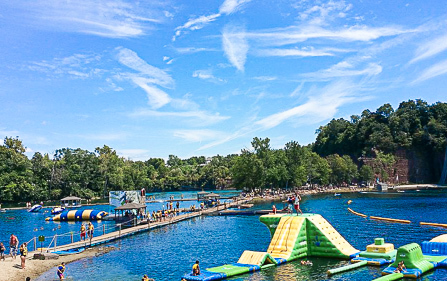 We are conveniently located four miles on the left. Take Route 9 to Exit 7. Go east on Route 82. We are conveniently located four miles on the left. Take I - 91 South to Route 9 South and take Exit 7. Go east on Route 82. We are conveniently located four miles on the left. Take I - 84 East to 691 East to I - 91 North to Route 9 South to Exit 7. Go east on Route 82. The river was originally crossed by canoe, later by raft. Eventually a chain and sail scow was employed. Finally, in 1894, the most modern river conveyance, a steam ferry, was installed. 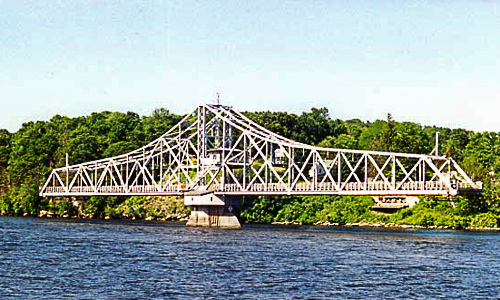 Today the bridge which swings to accommodate river traffic, is a local landmark. 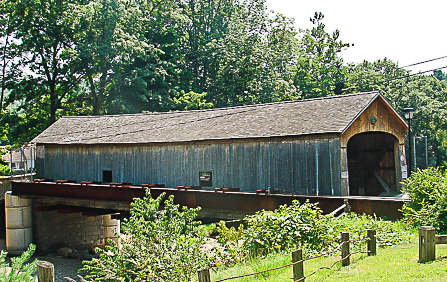 Built in 1913, the 899-foot long bridge is reputed to be the longest of its type in the world. The bridge opens to recreational traffic on the hour and half hour and on-demand for commercial barge traffic. 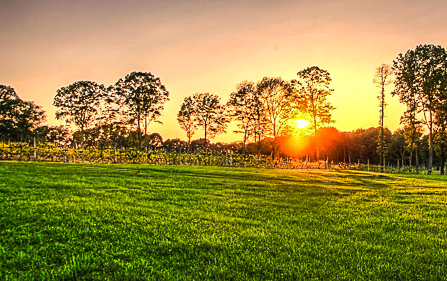 Allegra Farm is the largest authentic livery stable in Connecticut, catering solely to those who desire a unique experience from a bygone era. 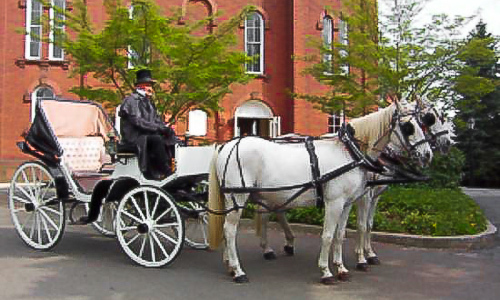 While its true the 19th century is well over 100 years behind us now, John Allegra and Allegra Farm are keeping this era alive with the restoration of vintage horse drawn carriages, wagons and equipment. KidCity is a perfect spot for young children aged 1-8 years old. 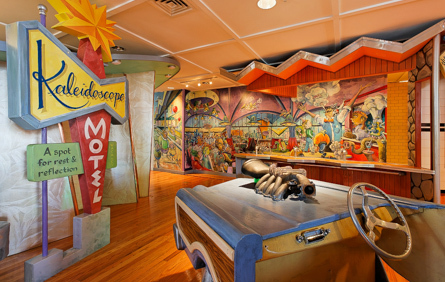 It’s more than just a museum; it’s a fun, interactive mix between a museum and an indoor playground where you and your child can play pretend together while using your imagination to have fun. Each room has a different theme such as a pirate ship, fishery, space age, farming, and is filled with tons of props to play with. 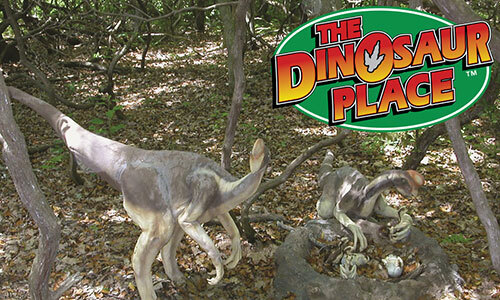 Encounter over 40 Life-Sized Dinosaurs on 1.5 miles of pristine nature trails. 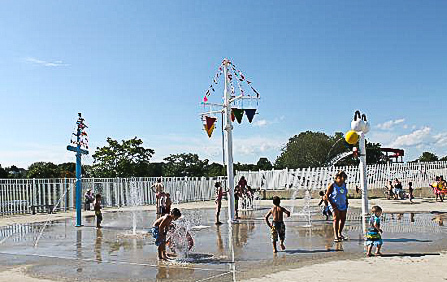 Make a SPLASH in New England’s largest Splashpad (a zero depth water playground). Navigate through a”MAZE”asaurus and slide through the mouth of a T. Rex! ROMP and ROAR like a raptor in the Jurassic Moon Bounce. Largest Indoor Multi-Level Karting Track in the WORLD!! 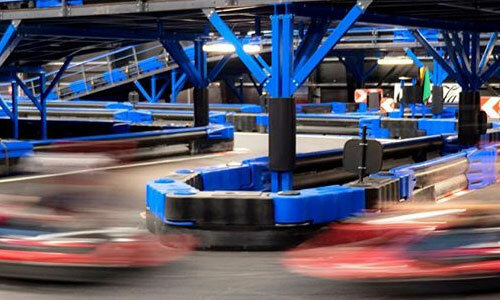 Our all-electric, zero emission karts will get your adrenaline pumping as you speed around Connecticut’s fastest indoor multi-level karting track. The 110,000 square foot facility houses two very diverse multi-level tracks offering challenges for all ages both the beginner and experienced drivers. Special racing days will include the NASKART SUPERTRACK featuring 1/2 mile of racing exhilaration where race laps approach two minutes; yes that’s four times more than the average track! 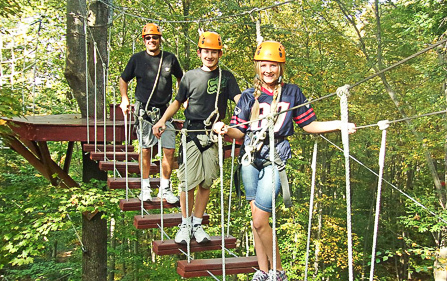 Bring your family, friends, colleagues, or opponents for the ultimate racing experience. 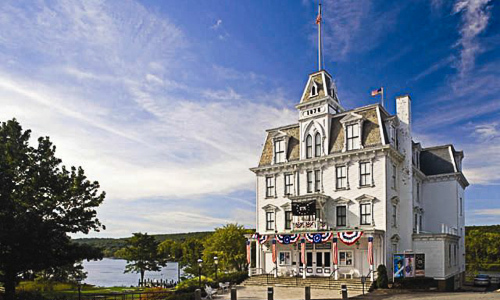 Enjoy the beauty of the historic Goodspeed Opera House - home of the American musical! 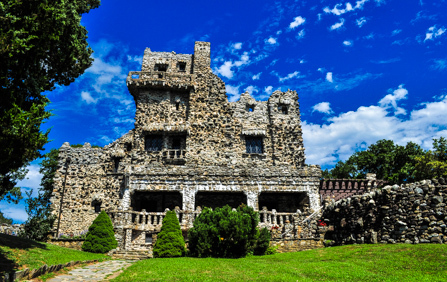 Birthplace of the original productions of Man of La Mancha, Shenandoah, and Annie, and the first regional theatre to receive two Special Tony Awards for its outstanding achievements, Goodspeed produces America’s musical treasures to delight, inspire, and entertain you.